A strong financial foundation will strengthen your marriage. To keep those "good vibrations" flowing, married couples need to discuss their finances openly. The best way to split your money in marriage depends on your relationship and situation. "Life's too short to demand proper accounting for every dollar spent. You don't want to be a doormat, but a little flexibility and generosity can go a long way in preserving relationships," says Anna Marie Pluhar, the author of "Sharing Housing: A Guidebook to Finding and Keeping Good Housemates." You are required to file your taxes as a married person as of the year that you get married. 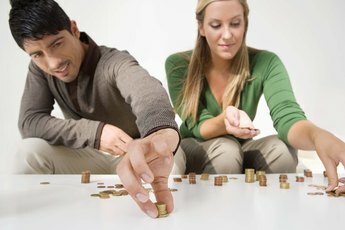 If you live in one of the nine community property states, such as Arizona, California, Idaho, Louisiana, New Mexico, Nevada, Texas, Washington or Wisconsin, using a married filing separate (MFS) status may not benefit you financially because spouses in those states must split all their income and expenses. If you live in any of the remaining 41 non-community property states, you can use the MFS status by reporting your individual income and deductions. 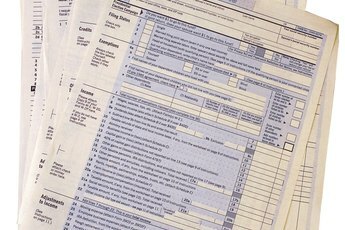 Run the numbers on your income tax return through a tax preparation software program to discover the advantages versus the disadvantages of filing singly. To lessen the resentment that one spouse may feel for earning less, use the residual accounting method. Employing this strategy, each of you deposits money into a household account so that you are both left with the same amount of disposable income in your individual banking accounts. This will buffer the resentment that the lower-wage earner may feel. "No one should feel like they have to ask permission before buying simple things like a cup of coffee, clothes, or personal items," according to Bonnie Eaker Weil, a New York-based relationship therapist. Use accounting software to record and track your individual and combined expenses, such as house and car payments, insurance, childcare, utilities and food, for example, for at least one month. Use this data to create a mutually agreed upon cost-sharing plan that you put in writing and mutually sign. 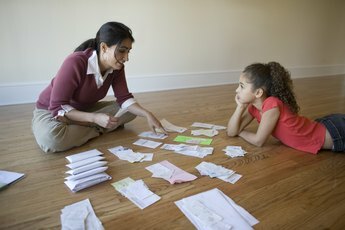 Decide in advance how to handle debt and conflicting spending habits by designating the percentage of your income that each of you will pay toward your mutual living expenses and the dates that bills will be paid.